You're a mean one! Celebrate the holidays with a Christmas classic with this Dr. Seuss' The Grinch in Scarf Christmas Ornament. 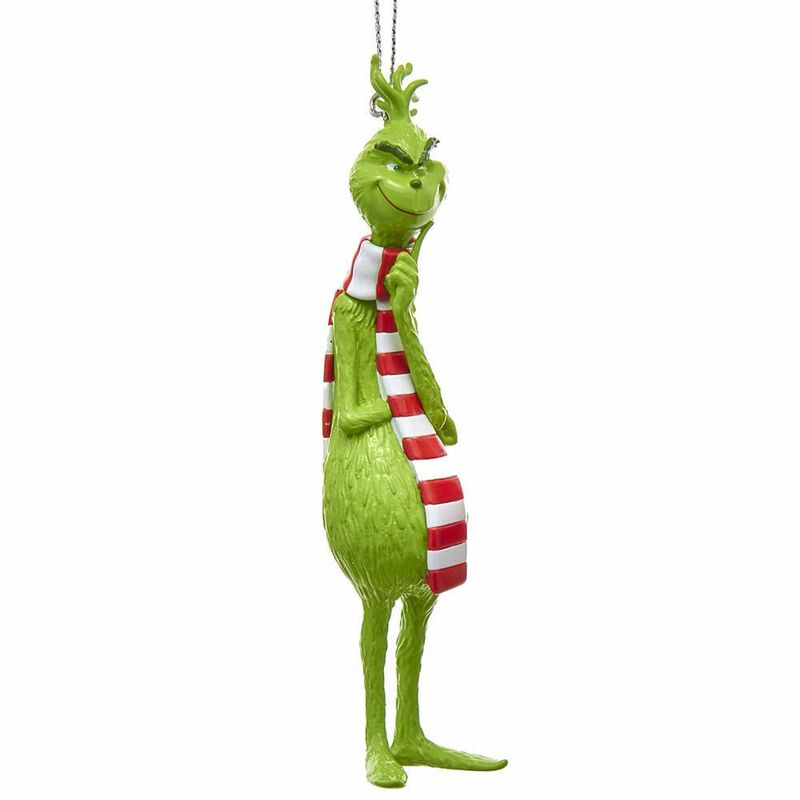 Featuring the famous Grinch with his bright green color accented by a festive red and white scarf!